"Pear, lime zest, almond and cream soda on the nose accentuated by an intense mineral character. A very aromatic Pinot Gris with fantastic cool climate freshness from a notably cool growing season with an intensity coming from the unusually small bunches. The Palate is laden with fruit flavours including many types of pear (Anjou, Williams and Nashi), white peach and citrus. A beautifully textured mid palate is complimented by a vibrant vein of acidity that runs through the wine giving it drive and length. Our Pinot Gris is great for food pairing, delicious on its own and very age worthy. This vintage in particular is one our Winemakers believe will highly reward those hide some in the cellar." "Nashi pear, lime zest and white nectarine on the nose with a hint of vanilla and raw almond. 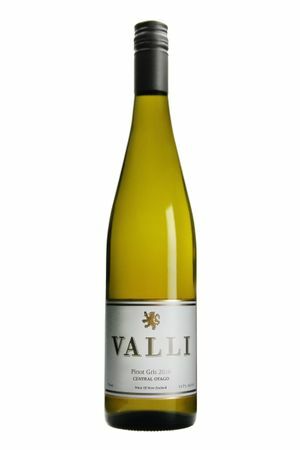 An intensely aromatic Pinot Gris with fantastic cool climate freshness ans layers of fruit flavours including citrus, crunchy pear and white peaches. A vibrant vein of acidity runs throughout the palate giving the wine drive and length - it almost seems to dance in the glass. This style of Pinot Gris is great for food pairing, delicious on its own and will also reward cellaring." "Nashi pear and granny smith apple on the nose with a hint of vanilla and raw almond. The barrel component gives a creaminess to the mid-palate with layers of fruit flavours: lime cordial, pears and white peaches. A vibrant vein of acidity runs throughout the palate giving the wine drive and length - it almost seems to dance in the glass. This style of Pinot Gris is great for food pairing and will also reward cellaring."